A committed education reformer with over 40 years’ experience in the school system as a vice-principal, teacher, support specialist and advocate, he brings a practitioners sensibility and expertise to the AES Board. Bill has been an advocate for educational reform for his entire career, and has been particularly focused on the creation and maintenance of positive learning environments at all levels of education, and across the spectrum of subject matter. He has taught from kindergarten through adult education, and served as an administrator in both private and public schools. He has participated in community-based organizations, non-profit foundations, and consulted with schools and districts on arts education, as well as research-based general educational reform. Bill believes that the creation of a culture of respect and collaboration is essential for learning, and that effective educational leaders must create environments that truly offer success for all participants. 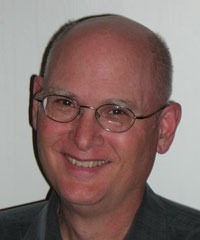 He has an MA in Teaching and Learning (Curriculum Design for educational reform) from UCSD. He also has an Administrative Services Credential and is an accredited multi subject teacher and language development specialist. He is also an accomplished jazz musician who directs annual summer camps fore adults and children.